Anti-poaching patrols in central Africa have been accused of committing atrocities against local tribes in order to protect wildlife. A report by Survival International, a UK-based group campaigning for tribal peoples’ rights, alleges that wildlife guards funded by the WWF (World Wide Fund for Nature) and other conservation organisations “harass, beat, torture and kill” people of the Baka, or Bayaka, tribes. Mike Hurran, a researcher at Survival International, told The Independent the report summarises “the history of human rights abuse that happens in the name of conservation in” the Congo Basin between Cameroon, the Republic of Congo and the Central African Republic. Mr Hurran said: “When you think of conservation, you think of compassion, justice, progressive values, protecting the environment. But I’ve met so many people for whom conservation means nothing like that at all. The report, based on interviews with dozens of people living in the Congo Basin, contains accusations that national parks and other protected areas were imposed on the indigenous tribes without their consent. It said the Baka people had been accused of poaching when they hunt to feed their families and subject to harassment, including having hot wax poured onto exposed skin, beatings and maiming with red-hot machetes. 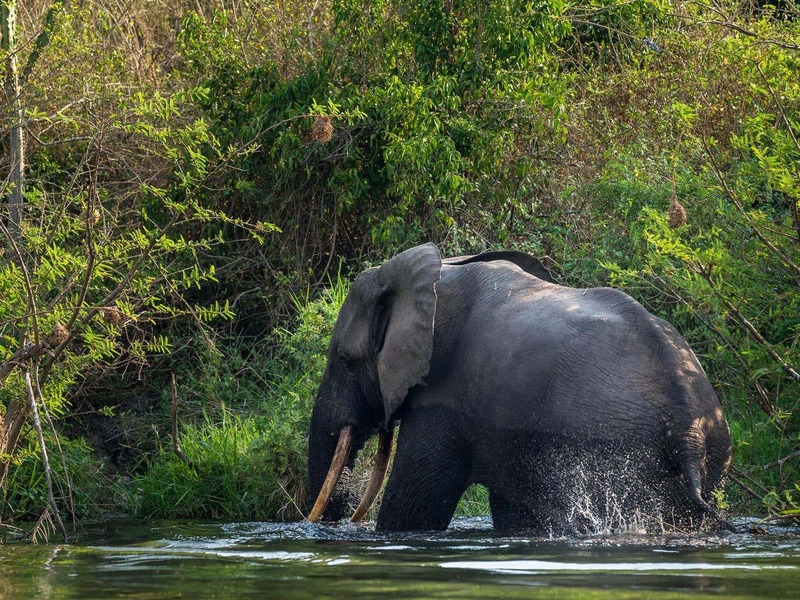 WWF has been operating in the region since 1991 and backed the creation of the Lobeke National Park to protect elephants, primates and leopards in 1999, which the report alleges led to the illegal eviction of several Baka tribes. The report went on to say anti-poachers “supported by WWF routinely raze entire forest camps to the ground, both inside and outside national parks. He said he hoped the report would “encourage these organisations” and their supporters “to sit up and take notice” of the allegations of human rights abuses. A spokesperson for WWF said: “We are shocked and saddened to hear of the violence and abuse of indigenous people. It is totally unacceptable. “Protecting our planet is as much about respecting the rights of the people that depend on it as it is about protecting wildlife, and we do this by helping deliver access to education, healthcare and livelihoods to local communities through conservation projects. Eco-guards are normally employed by the government, but WWF trains many of them and on occasion when the government cannot pay salaries, WWF will provide the funds. The main point is that the eco-guards who are abusing the Baka are working in WWF project areas and are in regular contact with WWF field staff. WWF has known about the abuse for many years, but has not been able to stop it. The Cameroon government is ultimately responsible, but WWF could do more.